Wild thanks to Jordan Slade for choosing Southwest Wildlife as the beneficiary for his Boy Scout Eagle project! 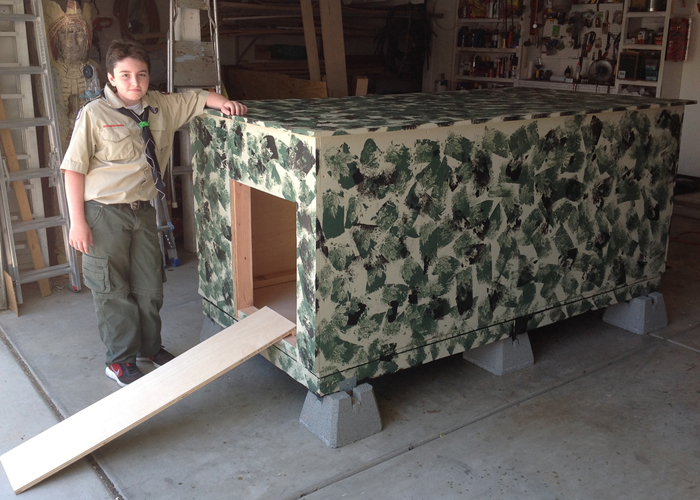 With the support of his family and scouts from his troop, we received a large coyote/wolf den, ready to assemble. As always, thanks to Bill Kuykendall for volunteering his time to work with Scouts on choosing and delivering these projects.